Never miss the bus or train again. 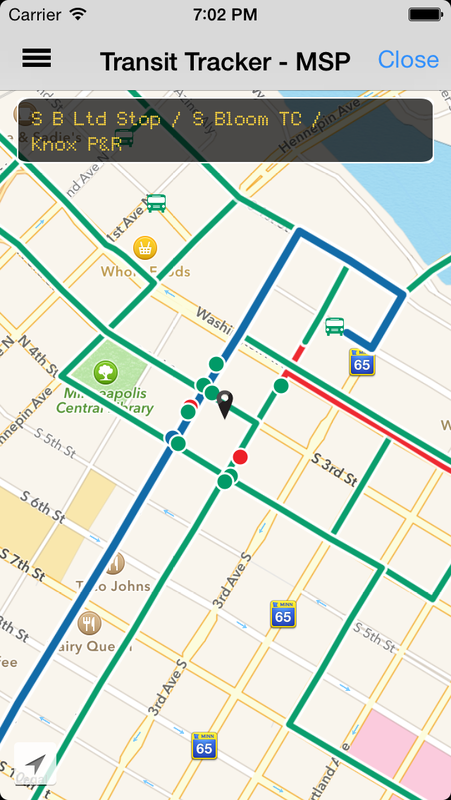 Transit Tracker is the only app you’ll need to get around the Transit System. You know how to get there; we’ll help make sure you get there on time! 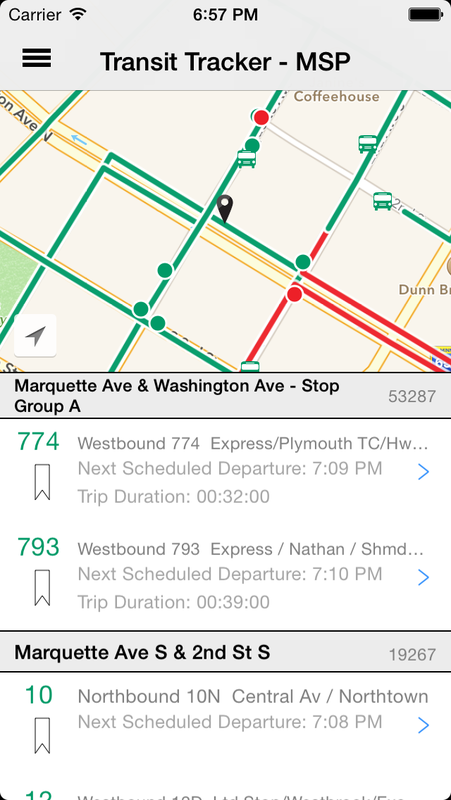 Find the nearest stations with scheduled stops and view upcoming departures with just two quick taps. See ACTUAL departure times and vehicle locations wherever NexTrip is available. All Supported cities in one App!